We are always looking for nominations to fill a range of volunteer positions that are available at the club. You do NOT need a background in baseball to help. We welcome ALL volunteers and will do our best to find a position which best suits your level of knowledge, skills and interests. You may also be able to reduce your fees or earn Rapids Cash by volunteering - it pays to volunteer! 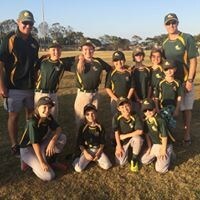 For anyone interested in completing their coaching accreditation or umpire course, please contact Baseball Operations, (technical@rapidsbaseball.com.au). A scorer training session is held at Rapids prior to the start of each season. We encourage as many members as possible attend this course as this is a role which can be shared between team members. Managers work closely with their team coach to ensure the smooth running of the season. A handbook is provided listing important information and support will be available throughout the season. All volunteers working with children are required to have a Blue Card. You are able to keep your Blue Card details up to date on your My Details page, or download the form here, once it is complete please hand it in at training to be submitted. Please also refer to the Officials section of the website for further information. Rapids relies on its volunteers to help maintain and improve our grounds and facilities. During the off season, we hold a couple of working bees. During the season, these will reduce to once every few months which will be advertised. If you are able to assist, we ask that you please come down and lend a hand. Tasks to be completed will vary depending on what needs to be done. If you have any special skills or a trade background that may assist with particular tasks, please let us know. We thank you in anticipation of your support! Rapids is required to have our canteen open during all games held at our fields. Failure to open will result in our home team forfeiting their game. We are fortunate to have Barb manage our canteen throughout the season, but we must also ask that all members assist in our canteen at some stage during the season. We ask that for each home game, one parent from the team helps for half an hour before the game, and half an hour after the game. We don't expect that you will miss out on seeing your children play. With everyone helping, members are only required a couple of times each season. Team Managers are responsible for preparing and distributing a roster sheet to their players/families and our canteen coordinator. If you are unable to assist on your nominated day, you will be responsible for swapping with another member of your team and notifying your manager of same. Working in the canteen earns you $10 Rapids Cash per shift that you are able to spend on fees, uniforms or in the canteen. In addition to the volunteer payments associated with particular positions, we also have Rapids Cash which is paid to volunteers for helping out at the club. You are able to earn Rapids Cash by volunteering in the canteen ($10/shift) and helping out at Working Bees and some fundraising events, such as Bunnings Sausage Sizzles ($15/hour). Rapids Cash can be redeemed on fees, uniforms or at the canteen. It is NOT redeemable for cash. Your Rapids Cash voucher will need to be submitted to the treasurer when redeeming.